A picturesque community located along the shore of the St. Clair River, Saint Clair is a desirable place to call home. Saint Clair MI real estate is also attractively close to Lake St. Clair, making this an ideal location for water sports enthusiasts. Selecting Saint Clair real estate provides a safe, secure environment for families. Of course, excellent schools and community services make real estate in Saint Clair popular with buyers of just about any description. Add natural beauty to the mix, and you'll understand why a Saint Clair Realtor has no problem encouraging people to choose homes here. The body of water now known as Lake St. Clair was discovered by French explorers in 1679. In 1764, the British established Fort Sinclair as a military installation and trading post, but it was not until 1817 that settler Robert Fulton actually platted the town of Saint Clair. The area thrived on the timber and shipbuilding industries. Eventually salt mining also became an important economic factor. Tourism began drawing visitors in the late 19th century, and people still seek out Saint Clair homes for sale in hopes of enjoying the resort lifestyle. The city's Recreation Department offers summer concerts and a full menu of ongoing activities. An outdoor community pool is available on a seasonal basis and citizens of all ages and abilities can find fun classes at local community centers. St. Clair County Parks & Recreation gives people who choose Saint Clair properties even more to choose from. People who own Saint Clair MI homes have an astounding number of attractions to discover. There's the Lake St. Clair Metropark in nearby Harrison Township and the St. Clair Historical Museum takes visitors back to the community's earliest days . Staying fit is easy on the Bridge to Bay Trail and with the boardwalk in Palmer Park. With so much water in the area, kayaking, boating, swimming and other water activities are always a hit with people who own Saint Clair properties. Buying one of the homes for sale in Saint Clair puts people in the middle of the action for St. Clair Riverfest each July. Festivities include live music, boat races and a carnival. In June, the Art Association sponsors an Art Fair while the Will on the Water Shakespeare Festival presents live, open air performances each August. The Saint Clair home buyer will also enjoy the annual Blue Water Ramble bicycling event in October. 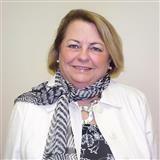 Let Linda Bailey help you get to know this delightful community.